I just wanted to take a moment with each and every one of you before my menu is viewed. All the treatments that I offer are about, “PRO” aging. Yes, that is “PRO” aging, not anti-aging. From the moment we are born we start the aging process. As a baby everything is done for us to help us grow up healthy. Well, just because we are grown up now dose not mean we should stop trying to do our best to continue to grow healthy. The responsibility is on us to respect our bodies and do our best to stay healthy, and healthy bodies shows a healthy skin, and healthy skin, is always admired by all. And, I don’t know about everyone else, but when someone tells me,” My skin looks so healthy and glowing” it puts a smile on my face and a boost in my confidence. So on this thought of “PRO” aging , all my treatments offered are developed and designed to help everyone embrace and improve their skin naturally. Your skin will be carefully analyzed by Diane Marie (Master Esthetician)Your specific problem areas will be identified and a personalized facial will be customized to meet your individual needs. 7. Finishing; With a light facial massage with moisturizer or sunblock if day time. This progressive, non -invasive treatment, propels natural mineral crystals onto the surface of the skin for a gentle, however highly effective epidermal abrasion. (resurfacing)This process will reveal a newer,healther,younger looking skin. This treatment has excellent and will show immediate results. It can be done as a skin maintenance or in a series. All determined on the individuals desired results. $425 for a series of 3 treatments. (with layered acids) To be done once a week for 3 weeks for optimal results. A facial isn’t only about looking good. It’s a way to feel good, as well. 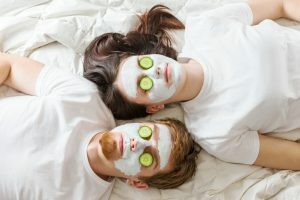 When it’s time to unwind from stress at the office or any other daily stresses, a facial is the best way to relax. A deep cleansing and purifying facial designed exclusively for a man’s skin. The skin is cleansed, exfoliated, and hydrated using products rich in antioxidants to repair and revitalize areas damaged by the sun and free radicals. A strong man always puts his best face forward. Each treatment is entirely customized to meet your skin requirements. The light lymphatic drainage massage also has anti­aging qualities as it relaxes your facial muscles, decreasing tension and delaying the start of wrinkles in your skin. Perfect pre-party, night out or post-travel treatment to improve skin density and hydration. It is done with a combination of unipolar and bipolar radio frequencies to deeply penetrate the skin with thermal energy directed into the subcutaneous layer. This process initiates collagen synthesis as the radio frequency ultimately damages the skin. Tightening occurs during the course of the skin’s self-repair. The results can be seen after just one treatment, however it is a cumulative process and a series of 6 to 12 treatments are recommended for complete results. A maintenance of a treatment every 6 to 8 weeks is suggested for optimal lasting results.The amount of treatments will be determined depending on the individual clients desired results.This treatment is very comfortable with a warm relaxing sensation. Most of my clients just relax peacefully during their treatment and some fall a sleep! Micro-current is facial stimulation, sending soft, gentle waves through the skin, tissues, and down to the facial muscles. The Micro-current treatment has been shown to stimulate and energize the facial muscles, similar to how exercise energizes the muscles of our bodies. Unlike anywhere else on the body, the facial muscles are directly connected to the skin, so the result of energizing the muscle is improved with a lifted and tightening action on the face. This is a cumulative treatment, however the results are noticed on the very first treatment. It is a very relaxing and comfortable procedure. 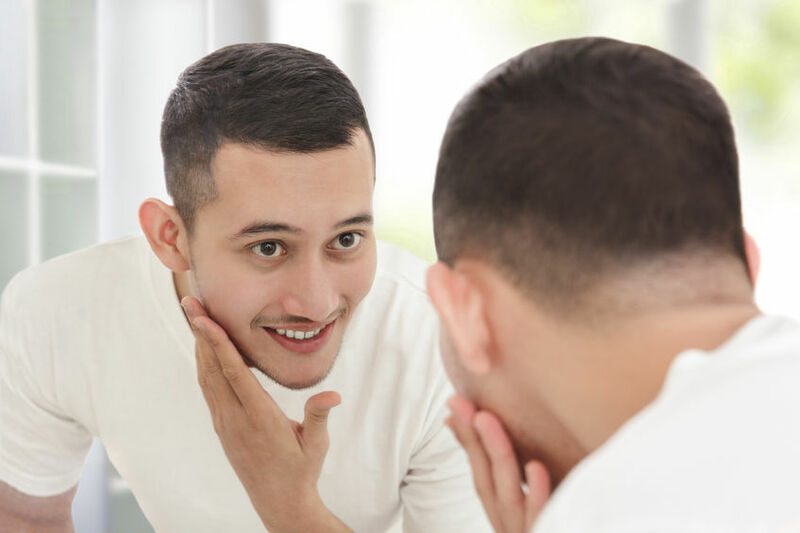 Dermaplaning is the controlled scraping of the facial skin using a sterile surgical blade held at a 45 degree angle for the removal of keratinized cells on the outer stratum corneum and the fine villus facial hair. Dermaplaning immediately rejuvenates the skin and is highly effective in minimizing the appearance of fine lines, wrinkles, and acne scars, while leaving the skin smooth, supple and vibrant! It is also a great treatment for prepping the skin prior to varied peels, enzyme exfoliation,leaving the face perfect for intense nourishing. It will also create the perfect canvas for make-up application and is a GO-TO treatment to prepare for High Profile Occasions. When this treatment is combined with A Radio Frequency treatment, the results to the face are even more apparent and perfectly safe to be done at the same appointment time. Dermaplaning can be done as an alternate treatment to regular monthly facials, combined with other facial treatments or just by itself. This treatment is a physical/mechanical exfoliation that is extremely safe when performed by a professionally trained Master Esthetician. A Thorough cleansing of the face and neck, followed with Ultra Sonic Exfoliation. A light application of a Special Blended Herbal Oil, then the Dermaplaning. After the Dermaplaning is completed, an application of an Enzyme Peel is applied to the face removing any extra lose dead skin cells. This is then all removed with warm soothing towels. 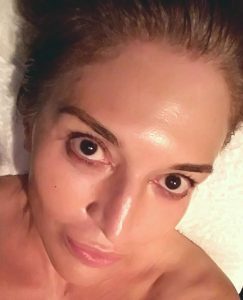 The treatment is then finished with one of my Special Herbal Wet Masks with UltraSonic Penetration, a light massage with hyaluronic acid(to hold the moisture) then a final application of an SPF or Moisturizer depending on the time of day the treatment is performed.